Remember when you could find 60s 2-door muscle sedans offered on craigslist for less than $5k? 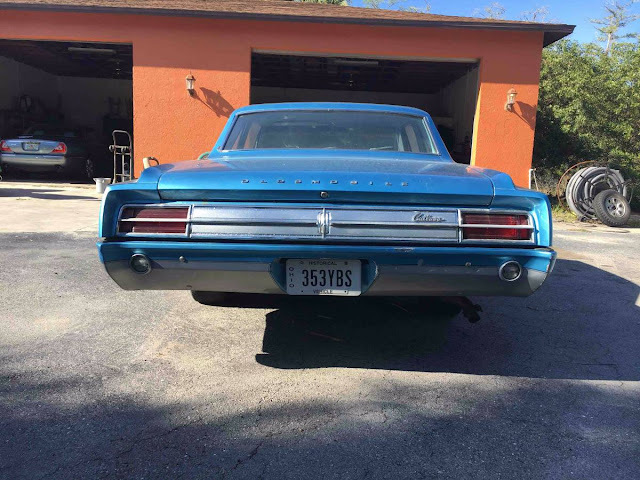 Yeah, those were the good old days -- but WAIT, you can re-live the glory days of cheap muscle by avoiding the over priced "collector" cars and getting a pile of junk like this 1965 Oldsmobile Cutlass F-85 offered for $4,750 in Naples, FL via craigslist. Tip from Dascpcu. The second generation Oldsmobile Cutlass started life as a compact, but sold in greater numbers when it was put on an intermediate chassis starting in 1964. The new car rode on a body-on-frame chassis instead of the old unibody, but its new added mass brought refinement and character. Under the hood is what I assume to be a 330 cubic inch V8 mated to a powerglide 2-speed automatic transmission and a 10 bolt rear with 3.23 gears. 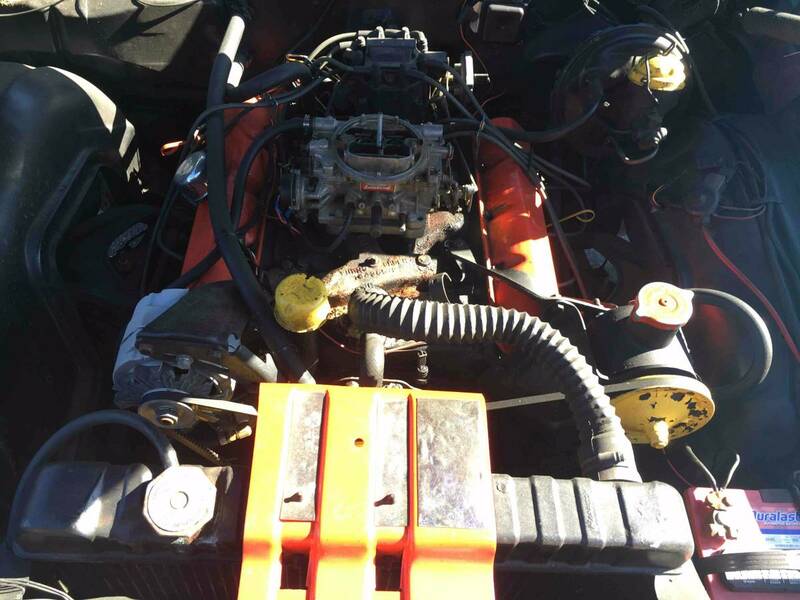 The engine was rated at 250 horsepower when new and this one needs some TLC before you can terrorize the neighborhood. Watch out for that rear view mirror on the back seat. Is that so your passengers can get a DIY colonoscopy while you drive? Ohio historic plates. Likely hasn't been in Florida all that long. Beware the rust! 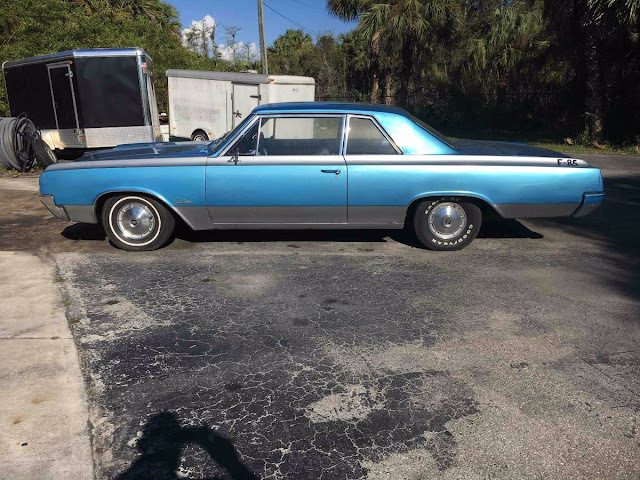 I like these 65 Olds GutLess-Cutlass.....somebody updated to an Hei Dist. but Florida or my home state of Ohio rust would be on my mind needs a good look and a magnet. Man, that trunk, it goes on for ages. I'd like to convert this into a pickup. Of course you couldnt actually carry anything in it because all your load would be behind the rear axle, but still..